The past week or two was near the peak for fall foliage this year. 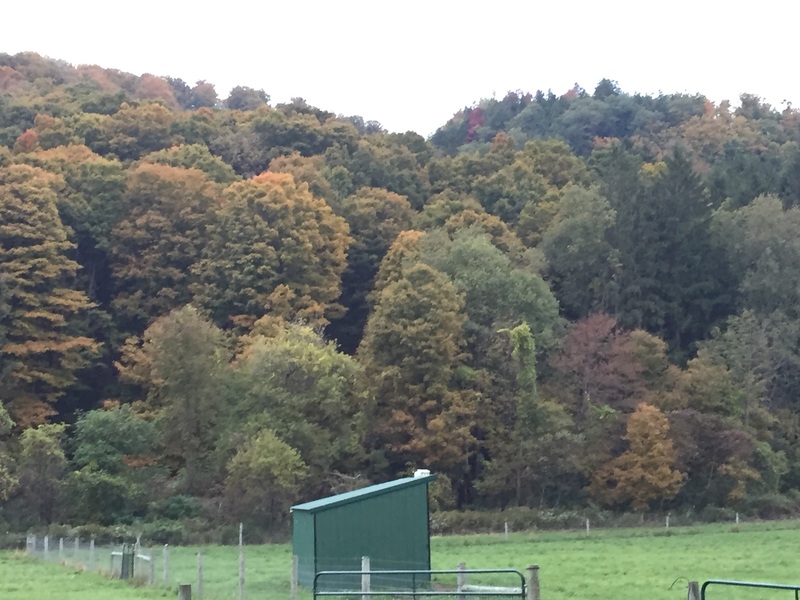 The woods on our property have a large percentage of maple trees, so the initial color change is primarily to yellow, but there are also other trees with deeper oranges and reds. 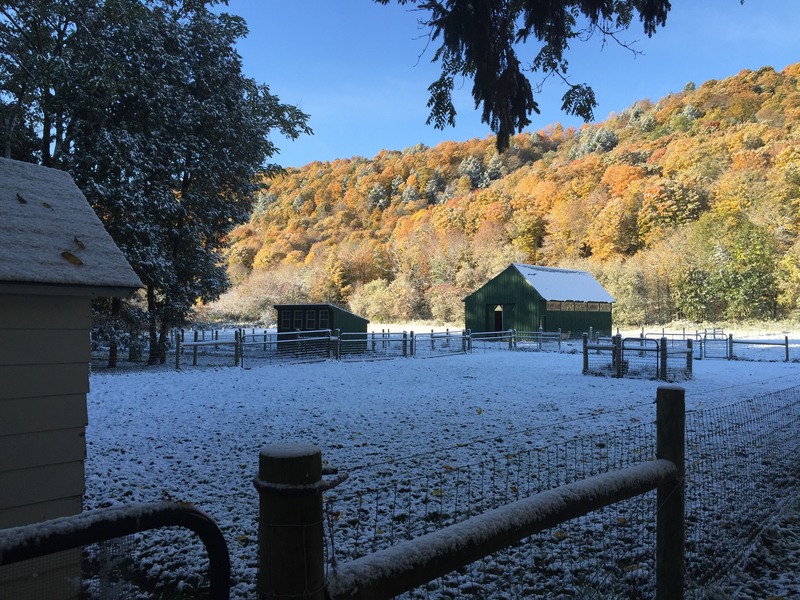 For those who couldn’t make it out into the country-side during peak season for leaf viewing, here are some photos of our property decked out in full fall colors. Click through to see many more photos of the changing leaves. The first three months on the farm have really flown by. Summer has now turned to autumn and the green leaves have mostly turned to yellows, oranges and reds. We saw our first measurable snow fall of the season this past weekend (approximately 2 weeks earlier than average – more on this for a later post). Here is a short video of the goats running across the pasture to greet us. The goats have a lot more individual personality than I would have guessed before moving to the farm. Now is a good time to look back and reflect on the start of the adventure. Recently, we noticed one evening that our goats seemed to be acting a bit strangely, like they were skittish. They were staying fairly close together near the barn while looking at a far corner of the pasture. They were very focused on that far corner like they were alert for a predator. We couldn’t see any animals or anything else of significance in that area, but we turned the electric fence on that evening just in case. We recently had our goats sheared for the first time since we moved in! Even though we moved in over the summer, I just recently had the chance to walk through our woods all the way to the end of our property on the top of the mountain. The farthest we had been previously up the mountain was to the bottom of the waterfall; we had never made it all the way to the top of the mountain. 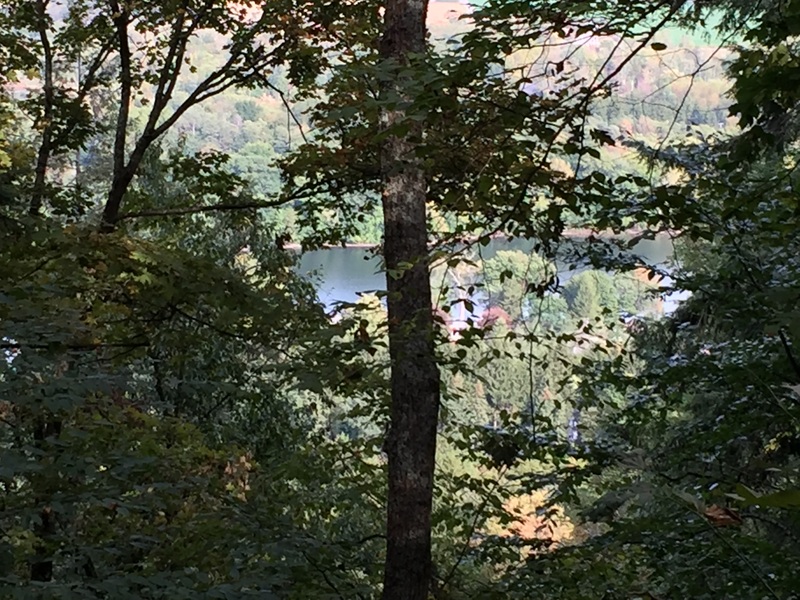 A view of Song Lake from half way up the mountain.